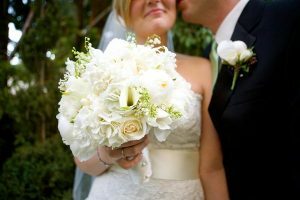 These bright or white flowers, which come in several different varieties, have become a favorite for brides due to their lovely fragrance and because the large dramatic flower is a unique addition to any bouquet or arrangement. 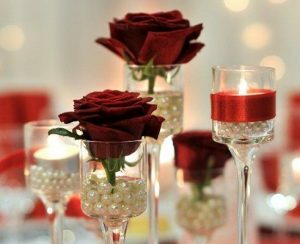 Lilies are also a good way to save on your wedding budget, since one big stargazer lily can take the place of several roses or other smaller flowers in a bouquet. 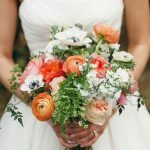 Growers have perfected the art of variegating lilies to provide more colors than ever before, and they’re also producing enormous blooms that brides often choose to carry in place of a bouquet. You may have seen this effect in the movie Love Actually, where Keira Knightley’s character totes a single white lily to accent her delicate, romantic gown. Lilies are not just a spring flower anymore. 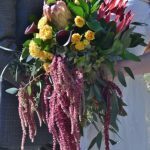 The lily is now considered a hot summer flower, and the Casa Blanca lily is a top choice for winter weddings. You can choose from a large variety of lilies: tiger, Asiatic, Turk’s cap, Madonna, leopard, Easter, trumpet, Canada, meadow, Carolina, prairie, Sierra tiger, alpine, and Asiatic hybrid. 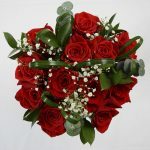 Do an online search or pursue photos from your floral designer to see the beauty and differences of each variety. 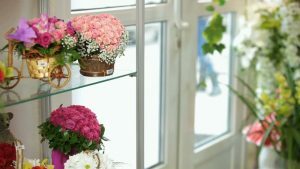 You’ll find solid colors as well as striped or ruffled-edge lilies, and each has its own symbolism. Those who believe in the language of flowers might also remember an age-old superstition that lilies are the flowers of death. (Pop culture experts say this is the reason behind the naming of Lily in the Munsters.) That dark symbolism no longer holds true. Lilies have been depicted as a symbolic flower associated with images of the Catholic saints, with a meaning of virtue attached. 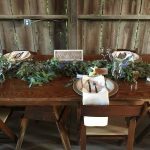 So don’t fear using lilies in your wedding day floral plans. In religious lore the white lily is a symbol of sainthood and great virtue, heroism, and faith. 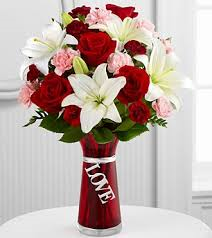 White lilies symbolize purity and virginity and communicate the sentiment; it’s heavenly to be with you. 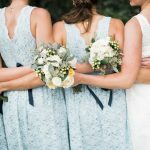 The Eucharis lily symbolizes maiden charms, which make it a popular choice for bridesmaids. 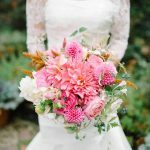 Hues of pink add a touch of color to traditional and unique floral pieces for weddings, and brides often like to add some dimension to their bouquets by mixing the colors and meanings of pink white flowers. 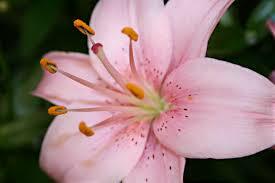 Pink lilies symbolize beauty, charm, happiness, fondness, and friendship. The pink perfection lily symbolizes a man’s appreciation of a woman as perfect in his eyes, and it can be used to connote the perfection of marriage. The stargazer lily is known for its big bright, open and sometimes multicolored petals. 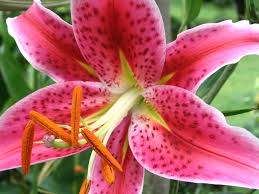 Stargazers are one of the most fragrant lilies, and some people have strong allergic reactions to their scents. 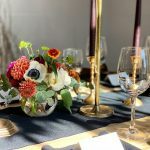 So test these flowers against your sensitivities and consider that guests too many have allergic reactions to the stargazers if they are put in the table centerpieces. Stargazer lilies symbolize brightness and beauty. Stargazers symbolize the love of astronomy. 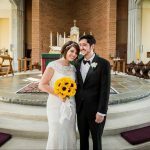 ← What do the Kind of Roses Say about You and Your Wedding?